ViewRanger Premium Topographic Maps - Now view on your PC or Mac too! Today we are really pleased to release a major enhancement to our web-based community & route planning tool My.ViewRanger.com. By adding online access to your premium topographic map layers within the My.ViewRanger website, we think we have created the most comprehensive and integrated web and mobile outdoors route planning and navigation service. On Smartphone, On Tablet, and Online! Working with our national mapping agency partners, including Ordnance Survey in Great Britain, IGN in France, BKG in Germany, Ordnance Survey Ireland, and Land & Property Services (OSNI) in Northern Ireland, we've made it possible for ViewRanger users to view these maps on their smartphone, on their tablet, and now online at no additional cost. Downloading a map tile or map region to your Apple, Android, or Symbian mobile device will automatically make this same map area available through the My.ViewRanger.com community and route planning website. 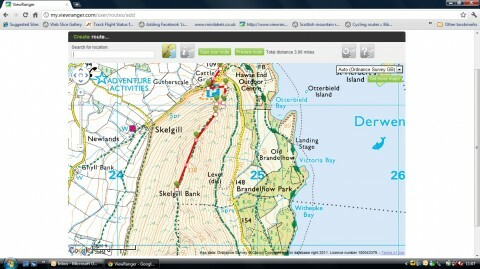 We're pleased that My.ViewRanger.com has proved a hit with our app customers as it provides a web based desktop route planning and search tool that can be used via any connected pc, mac or laptop. And as it works seamlessly with our ViewRanger mobile app, it’s then a one click upload to your Apple, Android or Symbian mobile device, so that routes are installed, and ready to “hit the trail”. Clubs and communities are using the service to share routes & invites and it we're really pleased by the route guides that are being published by the user community. 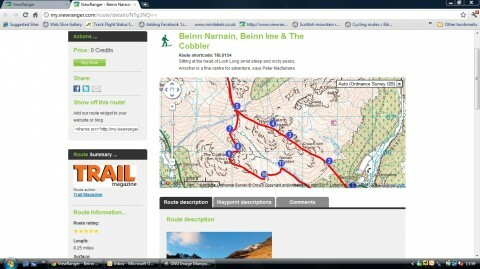 Don't forget to use the free widgets to embed route maps in your own websites, blogs, and facebook sites too! Up until today, the My.ViewRanger website has offered route planning and discovery using open source global web map layers such as Google Maps, OpenStreetMap and Satellite imagery. 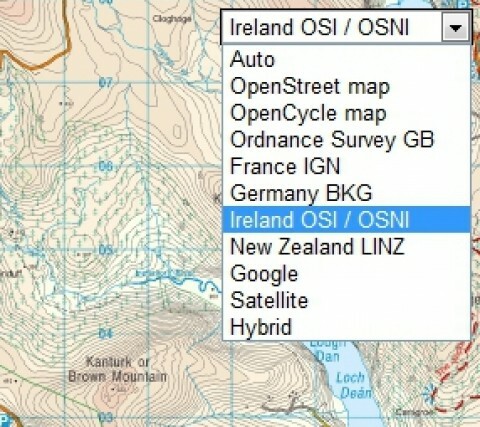 From today, all ViewRanger customers can now additionally, use the website to view premium topographic mapping they already own from Ordnance Survey (Great Britain), OS NI (Northern Ireland), OSi (Rep of Ireland), BKG Germany and IGN France. Additionally, the whole of New Zealand LINZ 1:50K mapping is available to view and use free of charge. You can view route guides that for routes that you have created, or any of the thousands of other route guides in the platform, over premium maps that you own (shown here over Ordnance Survey maps). 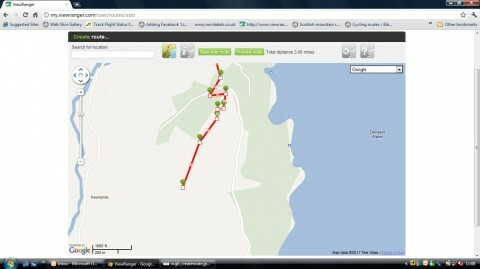 You can plot and create new routes - for your own private use or to publish and share with the ViewRanger community. Detailed national map agency charts can often contain more information about footpaths and other details that help you plot your routes more easily. Today we are making the premium charts for France, Germany, Ireland, Northern Ireland, and Great Britain available online, alongside the existing map layers that were available in our My.ViewRanger community website. We'll be looking to add more charts from our premium maps library soon.